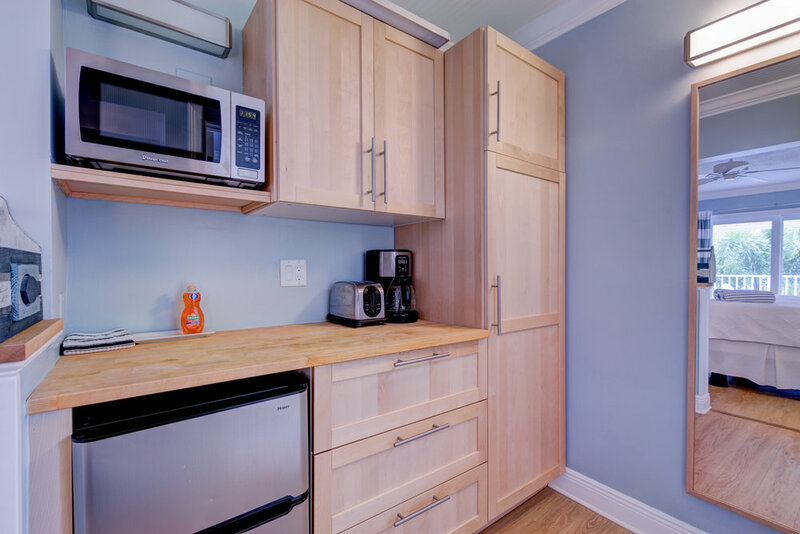 Our junior studio is approximately 380 square feet with either a king or 2 twin beds. 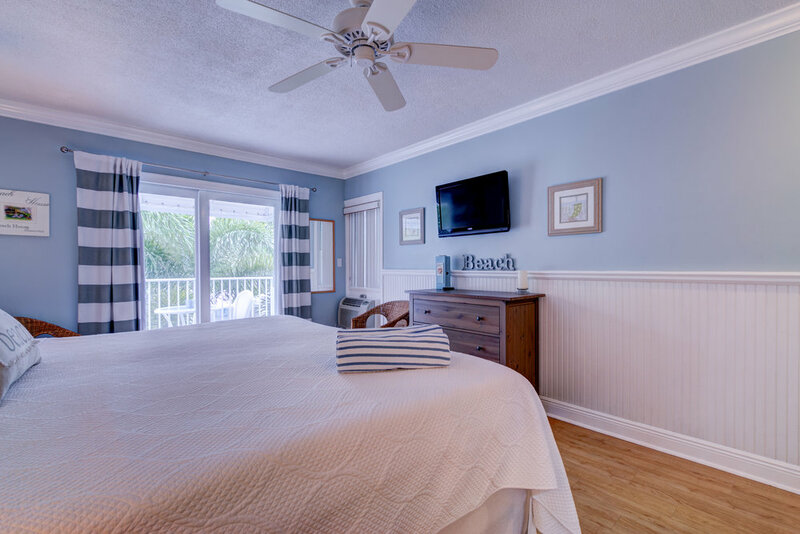 There is a full bathroom, flat screen TV, executive size refrigerator/freezer, microwave, plates, glassware and silverware for 2 plus an additional sitting area with chairs and a table. The junior suite also has a private balcony overlooking the pool on the second floor or a private patio on the first floor.